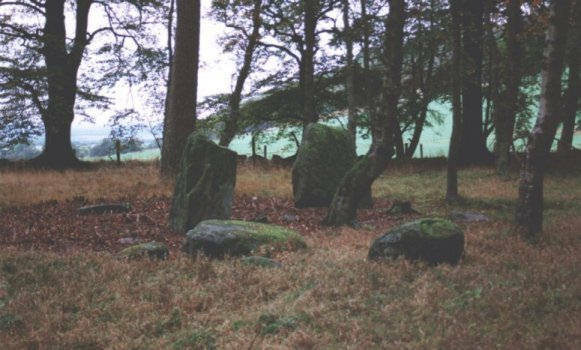 These stone circles lie in a small wooded area. Access is from the B953 Abernyte to Balbeggie road, over a stile into the wooded area. 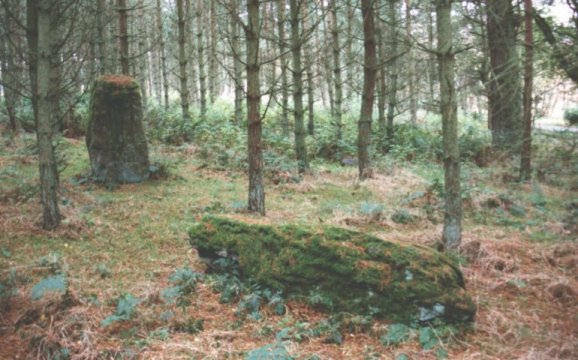 The western circle is signposted at the location and is described thus : "the remains of this stone circle (which probably originally comprised at least ten stones set on a diameter of about 8.5m) are situated in an area of mature woodland about 120m NE of Woodburn Cottage. 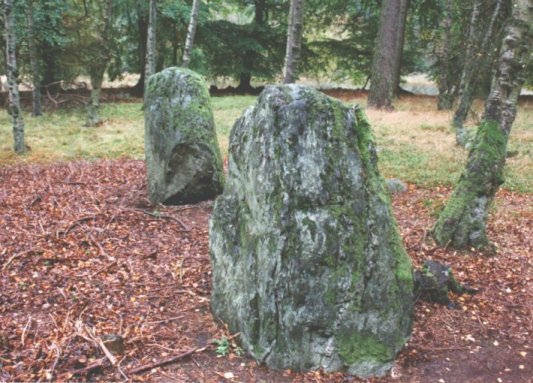 Only eight stones remain visible, of which two are upright; these are situated on the SW arc of the circle." The eastern circle is harder to locate as it is in fairly heavy tree cover, but is well worth the effort, and barely 100 metres away from the first. 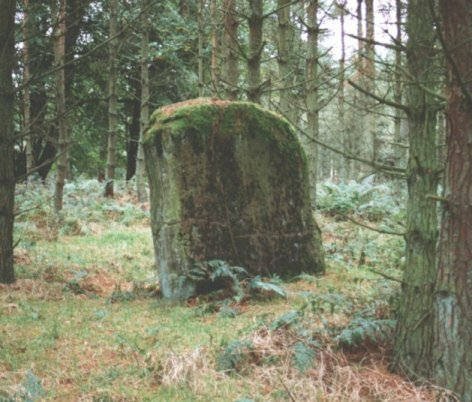 One of the main stones of the eastern circle has fallen over and is lying on its side, as can be seen in the photograph. This whole area is overlooked by the remains of a hill fort on nearby Dunsinane Hill, just to the east of the sites, and there are the remains of a broch nearby between Black Hill and King's Seat.